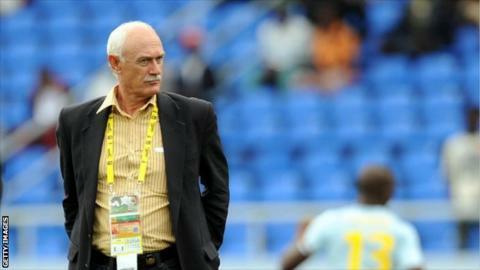 Martin Ignatius, popularly known as Mart Nooij, has been named as head coach of Tanzania's national team, the Taifa Stars. The Dutchman, who is much travelled in Africa, takes over from sacked Danish coach Kim Poulsen. Nooij, the former St. George Coach, has reportedly signed a two year contract. The Tanzania Football Federation's (TFF) Michael Wambura, confirmed to BBC Sport that Nooij has been appointed and will officially be unveiled on Monday. It is the second national team job for 59 year old Nooij. He spent four years as coach of neighbouring Mozambique until 2011, helping them qualify for the 2010 Africa Cup of Nations. He also previously managed Burkina Faso's U-20 team at the 2003 Fifa World Youth Championship and has had jobs in South Africa and Ethiopia. Nnoij arrived in Tanzania on Saturday morning. He was at the National Stadium in Dar es Salaam, watching the Taifa Stars get beaten 3-0 by Burundi in an international friendly. After the match, he said he would bring a wealth of experience to the job, and would work with the FA to push the team to success. The Dutchman's biggest task will be to get the Taifa Stars through the preliminary round of the 2015 Africa Cup of Nations (Afcon).